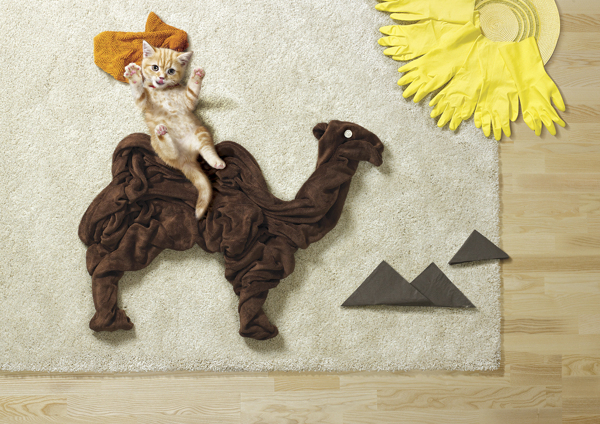 With photographer Miro Minarovic and art director Jiri Horut, Marek Farkas of Czech Republic created the “Life is Adventure” project as a creative campaign for Hill´s Pet Nutrition. 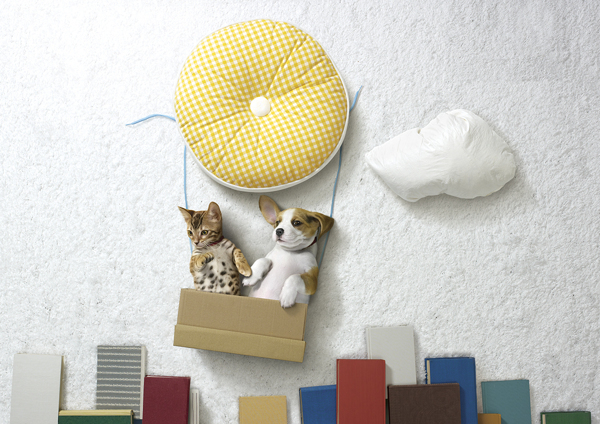 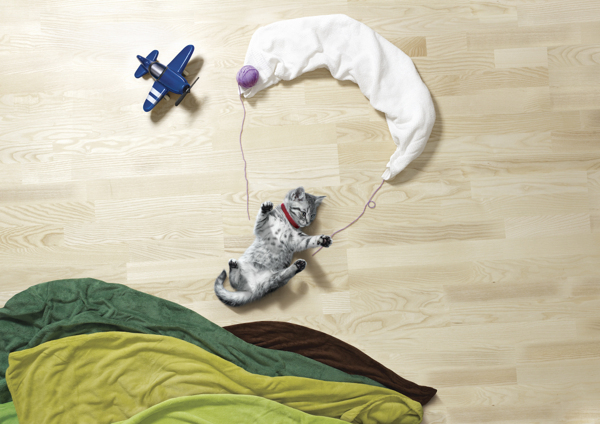 The project’s photos show a puppy and a kitten having (what Farkas calls) “safe adventures” with ordinary household items, all shot from above. 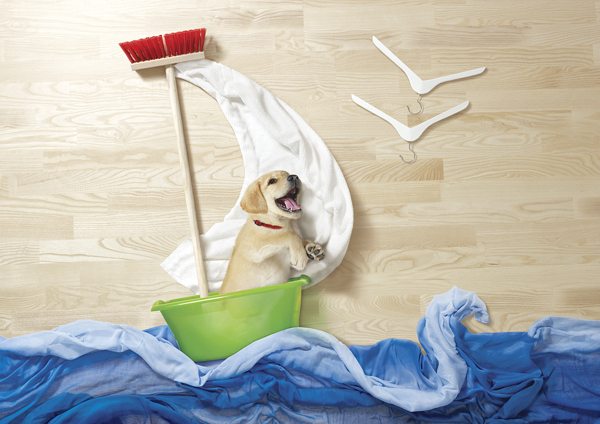 Farkas and his team were inspired by the early work of photographer Miro Švolík.